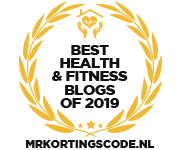 In the Meditteranean culture, and actually in many other countries in the world, grapes have been known as “the queen of fruits” for their flavor, texture and health benefits. 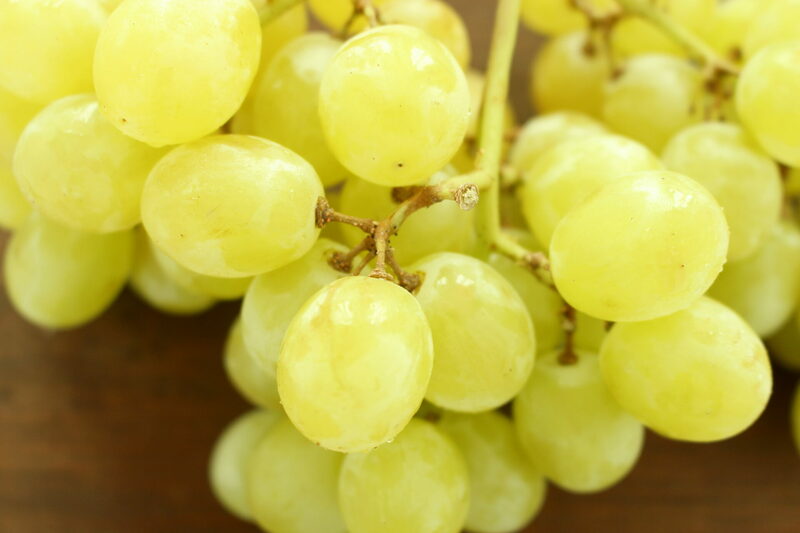 Grapes, in fact, have some special components giving them “super food” status; they reduce the risk of the many conditions such as obesity, several types of cancer, heart disease, high blood pressure, cholesterol, allergies and constipation. A few days ago a friend of mine who has a beatiful fruit garden gave me some tasty white grapes. With an abundance of fresh and delicious grapes at home there was no excuse not to make homemade jam, a simple and quick way to capture all the goodness this fruit has to offer. It’s my little ritual to make jam every season because the taste and the texture of homedade jam is superb, something you cannot compare to an industrially-packaged product. My recipes usually contain less sugar, because I like to taste thhe fruit rather than an overhelming sweetness, and the texture is smoother. 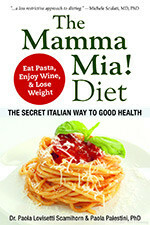 If you want to try a delicious apricot low sugar jam check my last book The Mamma Mia! Diet. Grape jam is a tasty condiment for seasoned cheese such pecorino and caprino. I love the combination of sweet and piquant. 4. Turn off the heat and allow to cool just a little bit. While still warm, puree to a desired consistency using a hand blender. Place back on the stove (on medium heat) for about 5-10 minutes until thickness is similar to honey, stirring occasionaly. Good jam should cook until the temperature reaches 220-222°F/104-105°C on a candy thermometer. If you don’t have a candy thermometer, use this test: Place a small amount of jam on a spoon and pour back sideways on a plate. At first it will be liquid,then the jam is ready to be removed from the heat when it falls off the spoon as a single drop. 5. You can store the jam in jars in the refrigerator up two weeks. However, if you prefer to keep it longer, you should preserve it, using for example the following canning method as described in strawberry jam. Note: Most of the grape jam recipes remove the skin and add it back in after some cooking. I skip that step because it does not make a noticable difference and saves some preparation time. 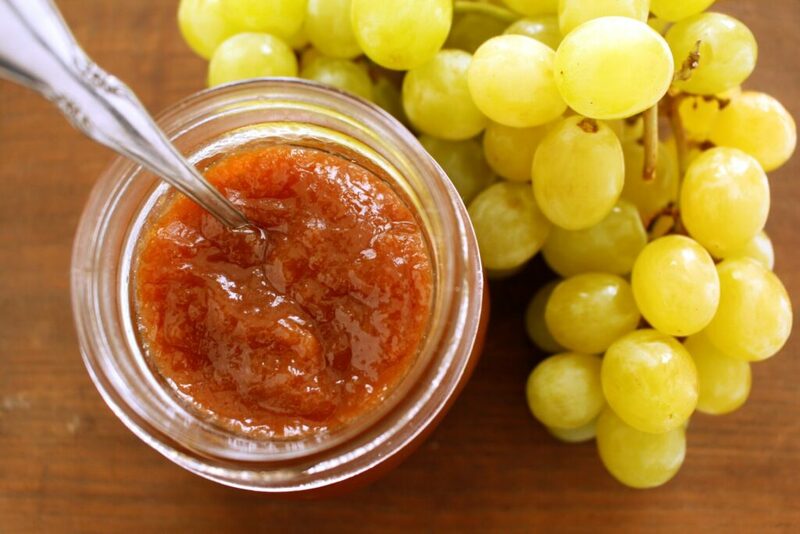 I suggest adding pectin because grapes, like many fruits with a soft pulp, do not contain a lot of pectin, a soluble fiber also used as a thickining agent for many jams. This recipe has been out there a couple of years, but I still had to leave a comment. I just made this and it is so yummy. 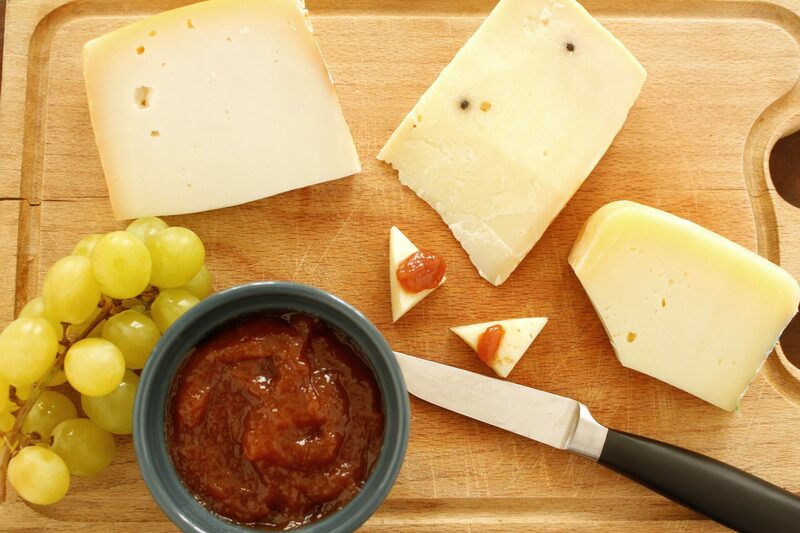 The grapes deepen in flavor and are just the right amount of sweet for a jam. When I googled white grape jam several places said that is it too bland to be worth it but this proves that is a fallacy. The grapes caramelize and was easy to do. Well worth it. When do we add the lemon juice? It is listed as an ingredient, but it is never mentioned again? I just made your Grape jam yours is a pretty pumpkin color. My jam looks like split pea soup. I just picked 10lbs of these little green grapes that are delicious. They are not seedless and I am searching for a recipe. Your recipe and the comments compelled me to stop here but I’m wondering about the seeds. There are two to three tiny seeds per grape. Will they be challenging to remove or strain from the cooked grapes? Hi my mum always put the whole cooked jam through the colander but didn’t blend it first. I’ve done this too and also used a mueli using the middle size holes – but that’s because I make a lot of jams, pickles & chutneys. Both methods work and by not blending you get a clearer jam. I run my grapes thru my Kitchen Aid fruit straining attachment… works perfectly!! Something I have not tried yet! How did you give your jam the carmalization color instead of green grapes looking like pea soup jam? i have realfruit low sugar pectin.. I am hoping a table spoon of this will be equivalent. To the lady above, the jam will continue to get browner with time.